The theme of the 2018/19 opera season is Dreams! 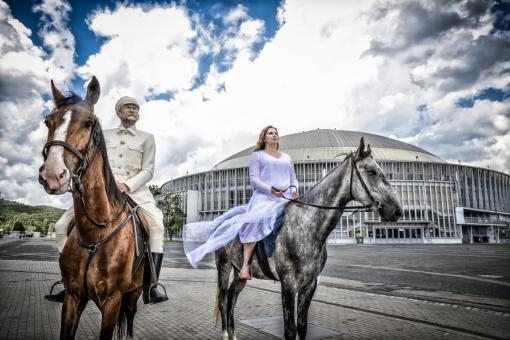 The Janáček Opera of the National Theatre Brno is also celebrating the centenary of Czech statehood, as the first premiere of the season showing Smetana’s Libuše. The first premiere of the season will take place in Pavilion P, the largest at the Brno Exhibition Centre. This work by Bedřich Smetana is under the direction of the artistic head of the opera Jiří Heřman and in the musical production of the conductor Robert Kružík. Smetana’s Libuše is, just like the mythical princess, shrouded in the mists of the interpretive tradition, and despite this, such a significant time in the existence of our nation is a unique opportunity for artists to find in it something that resonates with their generation. Like the production team the soloists are also made up of the younger generation of singers – the main roles are taken by the husband and wife couple of Lucie and Jiří Hájek as Libuše and Přemysl. Together with them are the soloists of the Janáček Opera Václava Krejčí Housková,Jan Šťáva, Roman Hozaand regular guests such as Alžběta Poláčková,Pavol Remenár and Dušan Růžička. The premises of the Brno Exhibition Centre are this year celebrating their 90th anniversary of their founding and it is a place that plays an irreplaceable role in the history of Brno. It can thank the creation of the independent republic for its existence and development. 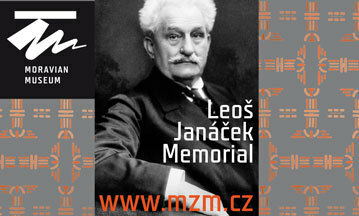 Its opening in May 1928 with the Exhibition of Contemporary Culture on the occasion of the tenth anniversary of the Czechoslovak Republic under the patronage of President Tomáš Garrigue Masaryk provided Brno with one of the most significant functionalist building complexes of its time. “Thanks to the reconstruction of the Janáček Theatre we discovered a fascinating venue at the Brno Exhibition Centre, where already last season we performed successful productions of Faust, Tosca and Turandot. Our staging of Libuše is also an excellent fit for this space. In 1928 the Exhibition of Contemporary Czechoslovak Culture took here, which was visited by our first president Tomáš Garrigue Masaryk. Because we are celebrating the founding of the Czechoslovak Republic, our production begins in 1918, when the National Theatre performed on 22/12 a festive performance of Libuše for Tomáš Garrigue Masaryk with Emmy Destinn in the main role. When you here the ceremonial fanfare of this opera, you can imagine the moment of the arrival of the president; for me it evokes our past, present and future. The premises of the exhibition centre are highly inspiring and to hear there Smetana’s brilliant music will be an exceptional opportunity, which nobody should pass up,” explains Jiří Heřman. The premiere of this opera production of Libuše will take place on 7 September 2018 in pavilion P of the Brno Exhibition Centre. Smetana’s Libuše was written at a time when for a little while Czechs had hopes of an equal standing in the Habsburg monarchy, and it will always be connected with another of our irreplaceable symbols – The National Theatre, where it was performed during its opening in 1881. Czech patriots and politicians strove for an independent Czech nation throughout the 19th century and in the autumn of 1918 the dream was fulfilled and a new era dawned for our nation. Just as the desire for an independent state was fulfilled, so to was Smetana’s wish that his depiction of the beginnings of the Czech nation and the mythical Princess Libuše would become a work for ceremonial occasions. The greatest fulfilment of Smetana’s wish was undoubtedly when it was the fanfare from Libuše that in 1918 welcomed Tomáš Garrigue Masaryk as the first president of our independent state.